Caged by J.A. Belfield Blog Tour and Giveaway! Okay, wow on this cover! I turned from the square-jawed newswoman on TV to Dad, where he sat in his corner armchair. His attention remained on the screen, a frown across his brow. “… the duo of friends were first reported missing late last night by their parents, after they discovered neither of the teenagers …” The newscaster’s voice infiltrated once more. Images of a couple of lads flashed side by side on the screen. The one on the left had the appearance of any late teen, with shaggy overgrown hair and the twinkle of mischief in his expression. From the other image, brilliant blue eyes stared out at me from beneath a shock of pale blond curls. Shelley Lewis’s number had been saved in my phone book since the beginning of the year, right after we met for the first time. I hit dial and paced to the window. September sunshine, of the early morning variety, blinded me as my phone rang. It took only a few trills for her to answer. “Ethan?” Her voice held hope, as well as a heavy weariness and the thickness of tears. “Is it true?” I’d promised to support her—a lone parent, a female no less, raising a werewolf son with no guidance. So far, I’d delivered on that promise. “What about Connor’s lot?” The Larsen’s made up the other half of our eight-wolf pack, but lived separately to us on the south side of the forest. “And Jem?” I asked with a lifted eyebrow. Author of the Holloway Pack stories, J. A. Belfield lives in Solihull, England, with her husband, two children, four cats and a dog. 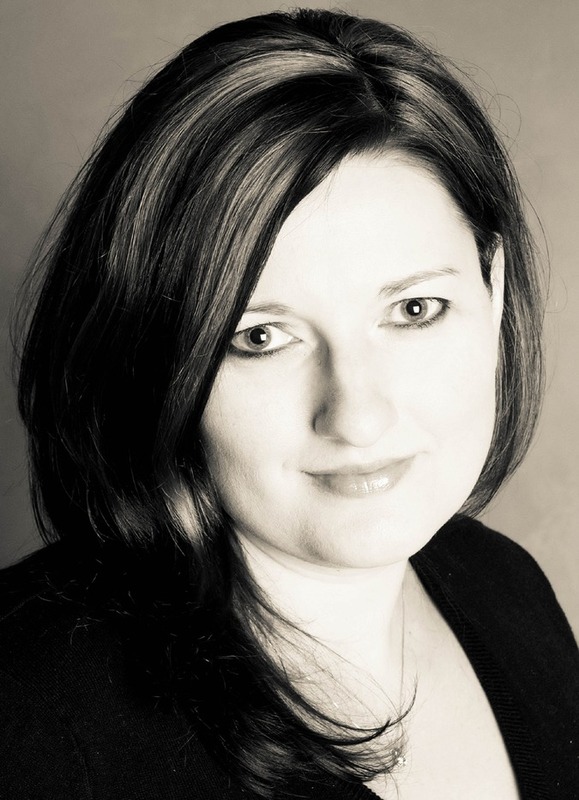 She writes paranormal romance, with a second love for urban fantasy. In my opinion, each of Julie Belfield’s books has gotten stronger. That’s rare praise coming from me as often I find the second, and especially the third, book weaker in some series. Not so with Caged. I won’t say I liked it better than Blue Moon. I LOVED that story, but this one is so different it’s hard to compare. There is plenty of action and suspense in this third installment, but unlike its predecessor, told from Jem’s point of view, this one takes the POV of Ethan Holloway, and naturally reflects his intense (glorious) personality. I love Belfield’s take on the world of werewolf shifters living among us. There’s never a dull moment. The pace flies as the author throws every obstacle she can at this poor hero. You’ll be flipping pages to see what happens to Ethan next. I was rooting for (and wondering if he could) save his own life, rescue other pack members and maybe even win the heart of a girl in the end. Can any girl resist Ethan? I think not. 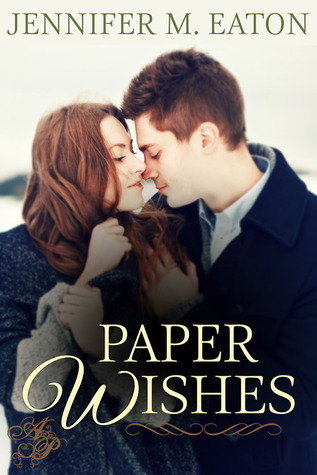 Paper Wishes follows Jack and Jill on their journey from friendship to love over Christmas and New Years in two heartwarming stories. Connect the Dots: Jill writes her most intimate Christmas wish to God—and throws it away for its ridiculousness—but Christmas wishes have a way of coming true, even when you don’t know what you’ve wished for. A Test of Faith: One day after her Christmas wish comes true, Jill faces a wrenching choice that tests her deepest beliefs. Will love prevail over conviction, or is happiness nothing more than a fairytale? 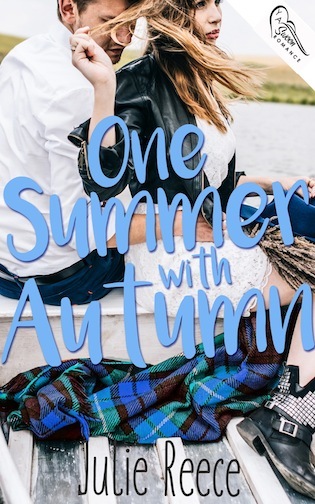 A refreshing wintry romance in the midst of our summer heat. What could be better? 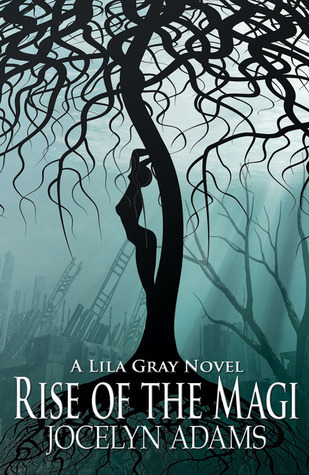 Spotlight: Rise of the Magi Excerpt and Giveaway! Keywords: fae, faeries, elves, selkies, fantasy, urban fantasy, romance, romantic, dryads, paranormal. In a battle of wills, who is strongest? The one who hates or the one who loves? In a test of faith, who will fight the hardest? The one who has everything to lose or the one who believes only in herself? For Lila Gray, the answer is both. For the Magi, the questions are pointless since they can’t lose, and they’ve been waiting since before Lila’s birth for this one moment. Lila only needs to find them to understand her entire purpose in life. This time, though, instead of protecting her people, Lila may be leading them all, including her unborn child and the man she loves, to their deaths — and not by accident. In the ultimate trial of heart and soul, and the conclusion to the Lila Gray series, Lila will learn that the greatest weapon of war is herself, with one ultimate unknown. For which side will she fight? Free stuff? Say yes!!! Win a signed set of Lila Gray paperback novels! WOW! 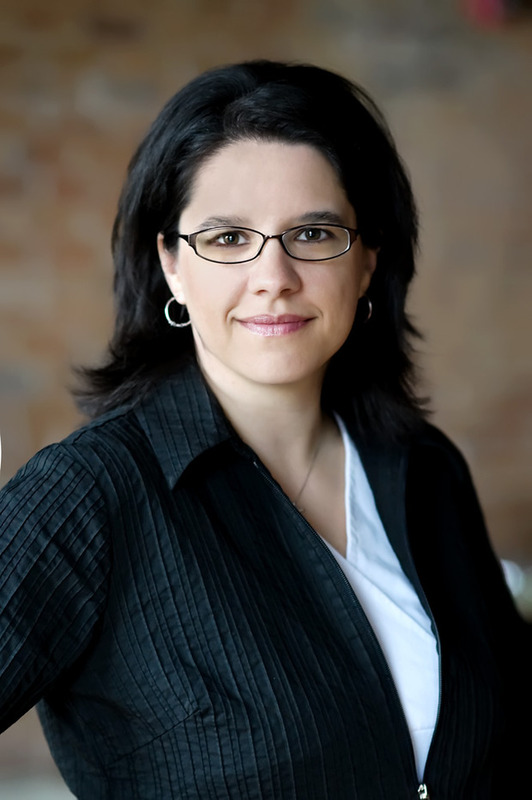 Jocelyn Adams grew up on a cattle farm in Lakefield and has remained a resident of Southern Ontario her entire life, most recently in Muskoka. She has worked as a computer geek, a stable hand, a secretary, and spent most of her childhood buried up to the waist in an old car or tractor engine with her mechanically inclined dad. But mostly, she’s a dreamer with a vivid imagination and a love for fantasy (and a closet romantic — shhh!). When she isn’t shooting her compound bow in competition or writing, she hangs out with her husband and young daughter at their little house in the woods. I choked on the black fear unfurling in my soul, brought on by what would come, what always assaulted me the moment I slipped into unconsciousness. It was stupid to think I could run from it for a third night, but shreds of hope were all that had kept me sane. Primal, cold and so dark it blotted out my Light. Sleep, more terrifying than anything I’d faced yet, claimed me again. Standing on the balcony of the new fae castle, I gazed over winding rows of ancient shifter houses, each quiet and seemingly content in slumber, in a night that wasn’t dark. Dark and light all at once—a perfect balance, as if the world hadn’t yet decided which side would win, until the red clouds rolled and curled across the sky like blood spilled into water. Flames, intelligent and ravenous, spread from the east, ready to consume everything and everyone until nothing but ash remained. Heat licked at my skin, growing hotter. Knowing it was only a dream didn’t keep sweat from pearling along my face and neck or the blue streak of profanity from escaping to color the air. Heart thundering, I gripped the railing while I stared at the coming storm, brain frozen with the puzzle I hadn’t yet solved. What are you trying to tell me? What am I missing? From below, shrieks invaded my ears, thundering across the land until they rose into a deafening clatter of sound. The houses came alive with light, moaning as fae spilled into the cobblestone streets and stared skyward before scattering, each filled with agony and despair deep enough there would be no escape from it. Dying. They were dying. My own scream built in my throat, to tell them I would fix it somehow, that I would save them, but it couldn’t find an escape. Nor would my body obey my commands to move, to help them. To do something. Anything. The scene changed as it always did. I stared down from far above, my limbs turned to torches of white fire. A globe of light around me cast a white wash over the city, over the fae who still ran in every direction. Wings pounding against the wind reached me a moment before a giant snowy owl arrived to hover before me, those golden eyes shining with rage and fear, both inducing immense relief that Liam had come and blinding horror with some distant knowledge that he should have run, too. My scream pierced the silence as a wail let loose from his beak. Warmth on my arm jerked me awake. Damn near hyperventilating, I scrambled out of bed and landed on my hands and knees on the hardwood without a stitch of clothing on, unsure if the room spun or if I was just dizzy. When Liam approached, his eyes haunted and glassy, a chilled realization hit me and stalled my breath until my lungs ached with need. What if the storm hadn’t been a dream? I love this cover. It’s sort of mysterious and creepy! The sledge hammer circled through the air, whipping around Taylor Marsh’s head. Wood splintered. Fragmented pieces shot off like shrapnel. With another heave, she drew the tool over her shoulder, and with one step, swung with every bit of force she could muster. Decades-old siding crumpled under her attack of the shed. A deep breath and a growl preceded the stretch of her arms and the twist of her body as she propelled herself forward again. 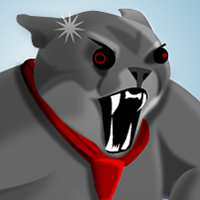 The weighted head hit first, yanking the tool from her sweaty palms and throwing Taylor sideways. On an ‘oomph’, her chest, arms and cheek kissed the red clay of southern North Carolina soil. Taylor pushed up to her elbows, twisted toward the old shed she’d vowed to tear down and sighed. She sat, ran a hand through her failing hair, where blonde streaks had turned brown, and resecured the tail at the nape of her neck as sweat dripped from her brow. Despite its age, several of the shed’s planks remained standing—a testament to construction of years gone by. Beyond the mess, her home stood—a white, clapboard bungalow she’d renovated herself. Taylor positioned her feet at the front corner, spreading them to give herself a wide base. “Right. One hit to the figurative solar plexus.” She nodded as if the pile would respond. The crunch of a car’s wheels on gravel made her turn. She faced the Jaguar as it rolled to a stop. Two very recognizable men stepped from within the vehicle. Their long strides spoke of power and confidence, the smiles suggested warmth, and the punch one gave the other—playfulness. Taylor brushed off grime from her jeans, tapped her boots against the ground and wiped a hand across her brow. “Like that’s going to help.” Giving up on her attire, she headed toward them, leaving her pile of work for later. “Hey, Tripp.” She took his extended hand, gazing again at the tattoo on his neck she’d found so intriguing the first time they met. “Ian.” Taylor switched her hand-held welcome toward the man who did more to her libido than anyone she’d ever met. He held up his hands, palms out, bejeweled right ring finger glinting in the sun. “Afraid of a little dirt?” She let her true southern come out, even added a bit to the tone as she spun the only ring she owned around her fourth finger—nothing like the ostentatious, gaudy, show-offy thing Ian wore. “No. But you’re a … more … I got a flight to New York in an hour,” Ian said. *Note: This is an adult paranormal romance. Sounds like a great read, doesn’t it? I love all things mythological!!! J. 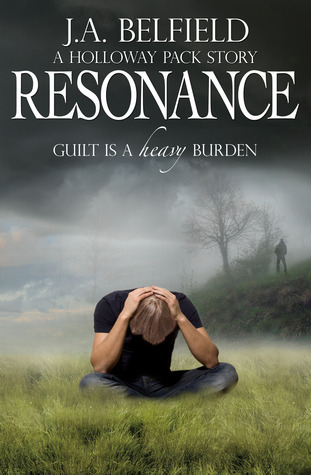 A. Belfield and The Big Resonance Giveaway! April 2nd 2013 marked the official release of Resonance upon the world, and yes, Resonance is available to purchase at all of the usual outlets. However, because I love and appreciate my fans so much, I decided to go on a mission to give something back. On top of that, one main-prize winner will receive a Holloway Pack swag-bundle (see image). Post a picture of you with your precious copy or Blue Moon somewhere on the Internet. Best known for her Holloway Pack Stories, J.A. 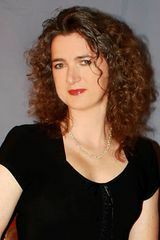 Belfield lives in Solihull, England, with her husband, two children, three cats and a dog. 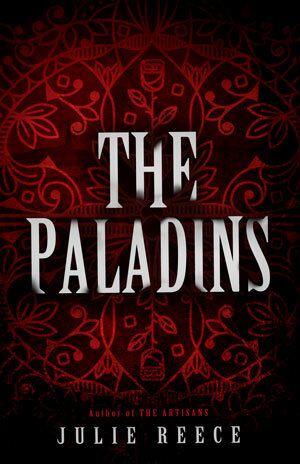 She writes paranormal romance, with a second love for urban fantasy. Guilt is a heavy burden for the one carrying it. Jem Stonehouse is no exception to this rule. What if she’d acted sooner? What if she’d fully recognised the threat? What if she hadn’t allowed the male pack members to head into the witches’ ambush? For one, youngest pack member Josh Larsen wouldn’t be trapped in the sleep of the dead. Now, Jem is convinced it’s her job to bring him back to life no matter what it takes— learning more about her heritage, risking pack exposure, or travelling to places she couldn’t have imagined possible. Even if the journey endangers her soul. miracle. For some kind of enlightenment. Or at the very least, for Jess to find a way to wake up Josh. Don’t you want to read it? I thought you would! * Note: The Holloway Pack series is an adult series.